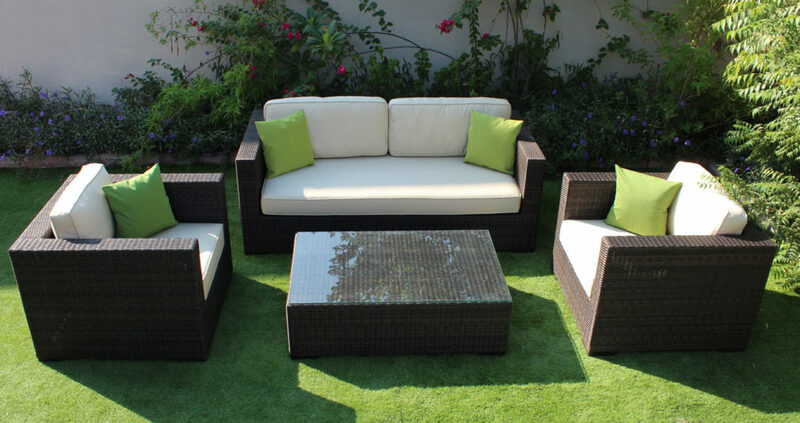 The Warehouse in Dubai offer stunning outdoor furniture in both teak and synthetic rattan ranges. 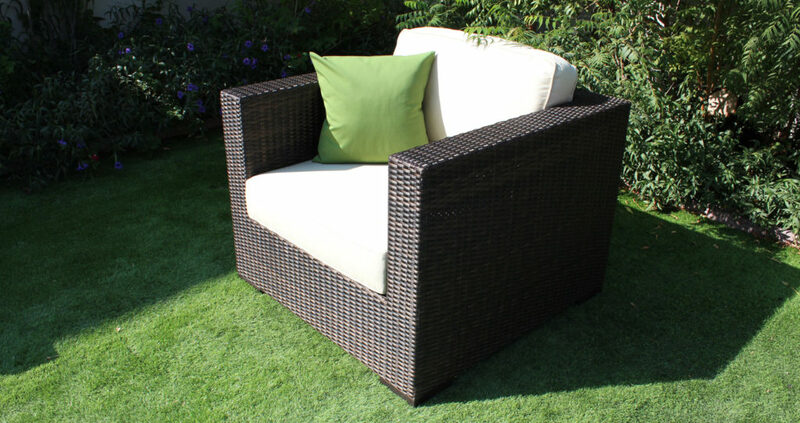 Choose from our high quality rattan furniture which features quality Viro Fibre, designed to last in the UAE climate. 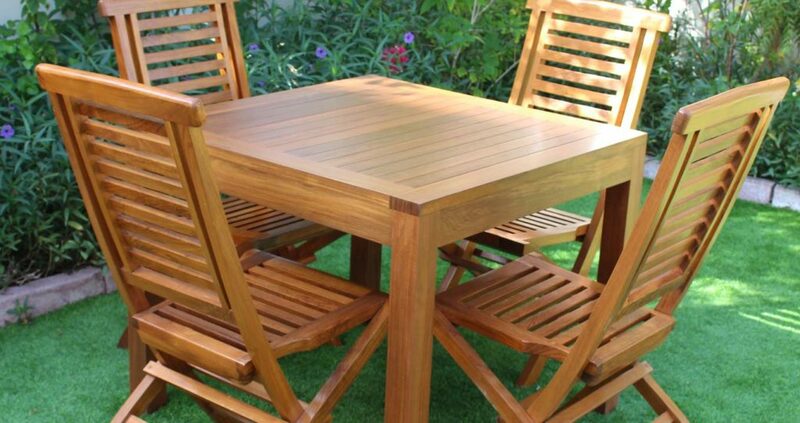 Alternatively our teakwood furniture range will stand the test of time and we offer a wide range of tables, chairs and sun loungers. 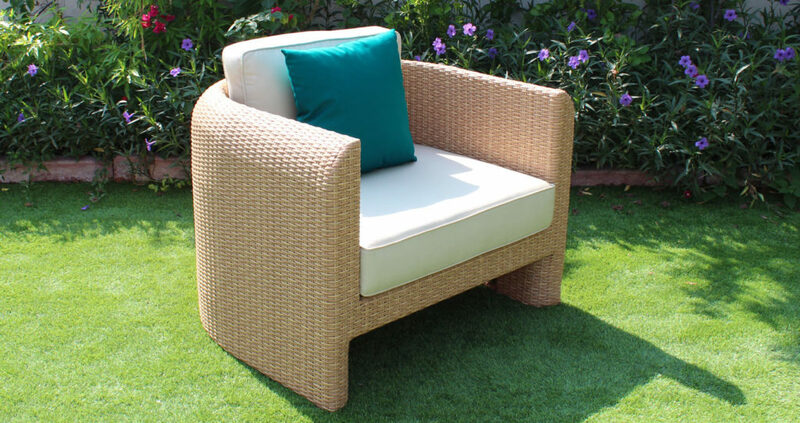 Our Synthetic Rattan Furniture is made using high quality fibre designed to withstand the strong sun in the middle east. 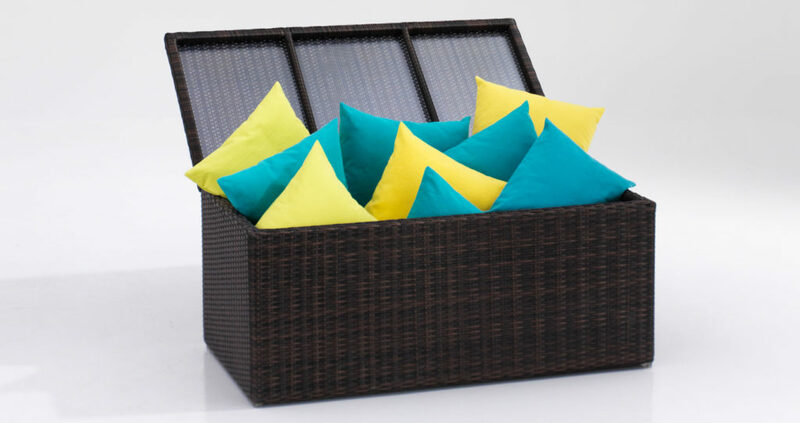 With a wide range, we can supply with custom made cushions. 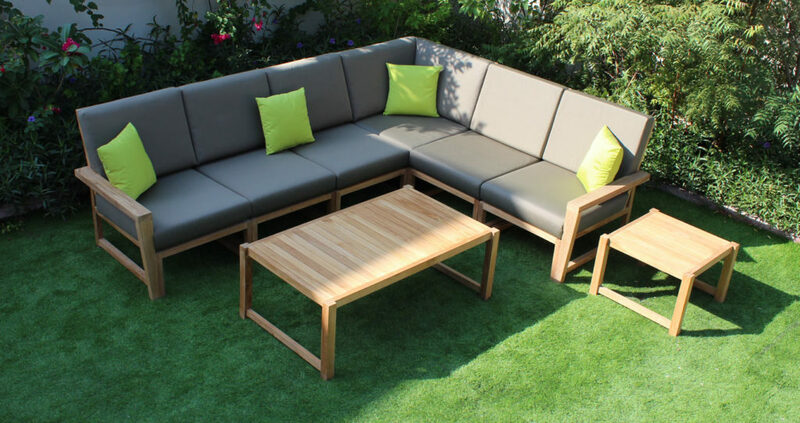 We use Viro and Rehau Synthetic Fibre for our outdoor Furniture. Why? It’s the best! 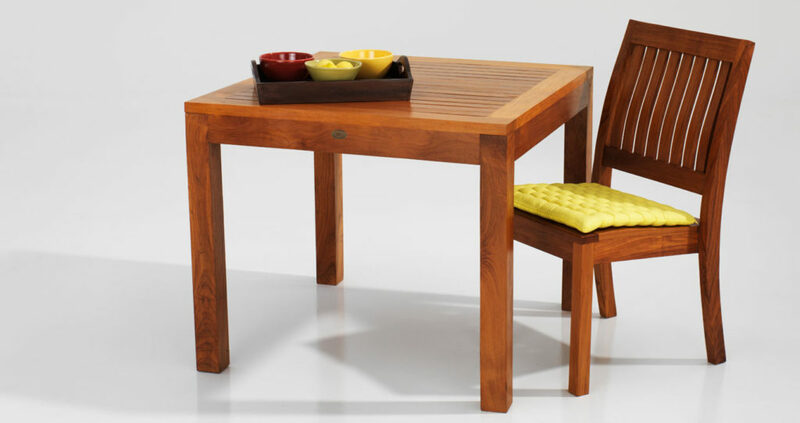 Durable, won’t fade and designed to last. Unlike cheap alternatives, it wont crack, peel and break after 1 years use. Its designed to last! That’s why we use it. 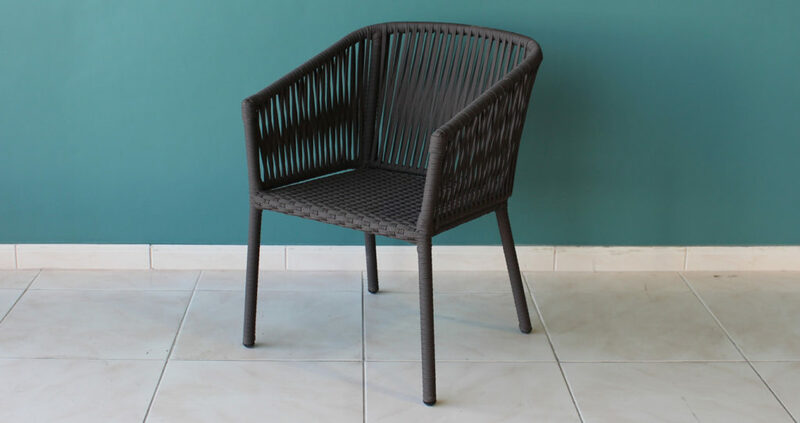 Our Synthetic Rattan furniture has: - 360° joint welding as standard -Full frame powder coating to protect against rust. 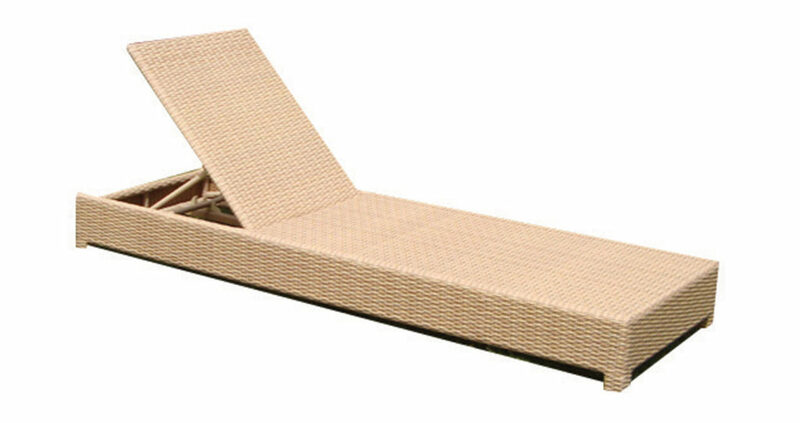 -The best available synthetic rattan. 3 year fibre warranty After Sales Service - We are there to support! 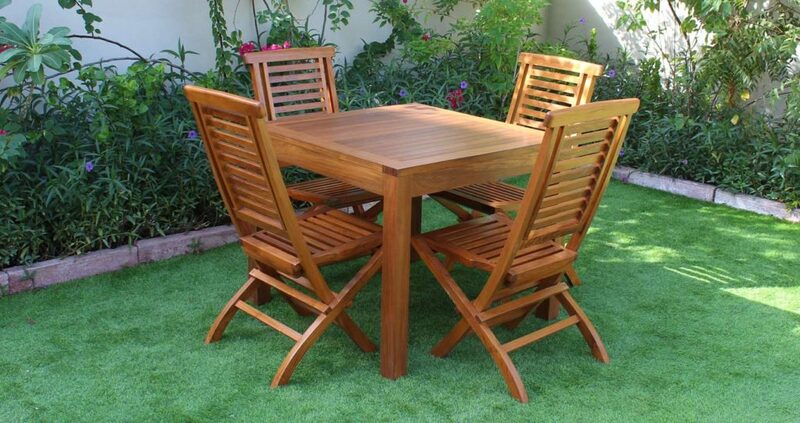 Our wooden outdoor furniture is made using high quality tropical teak wood. 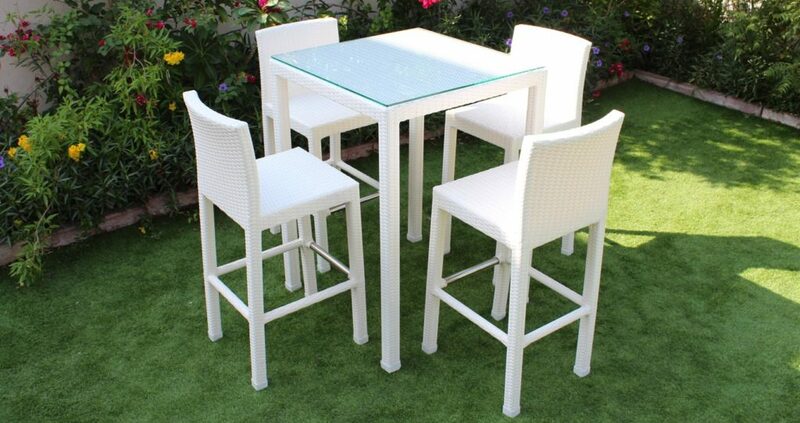 It is able to withstand the outdoor heat of the gulf and makes it ideal as garden furniture. 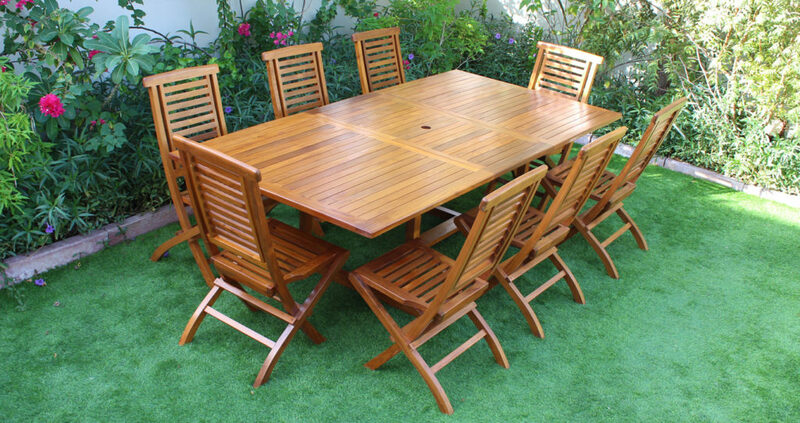 Our outdoor wooden furniture is made from Teak or Techtona Grandis is a tree native of Asia, where It was used for centuries in the construction of houses, temples and boats throughout the region. 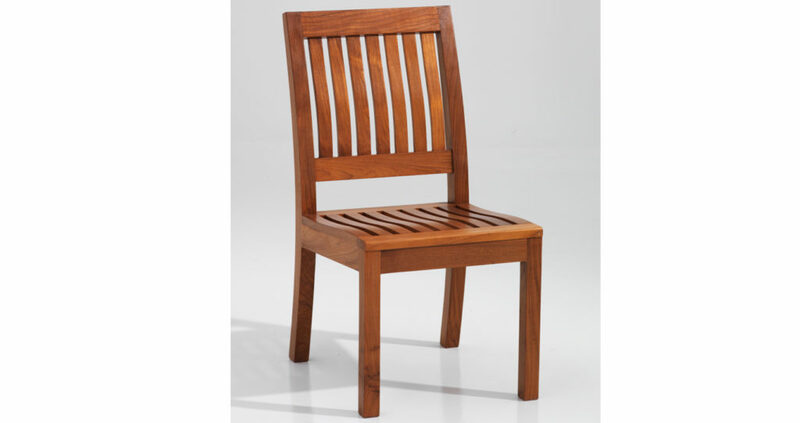 Teak is a very robust Material. 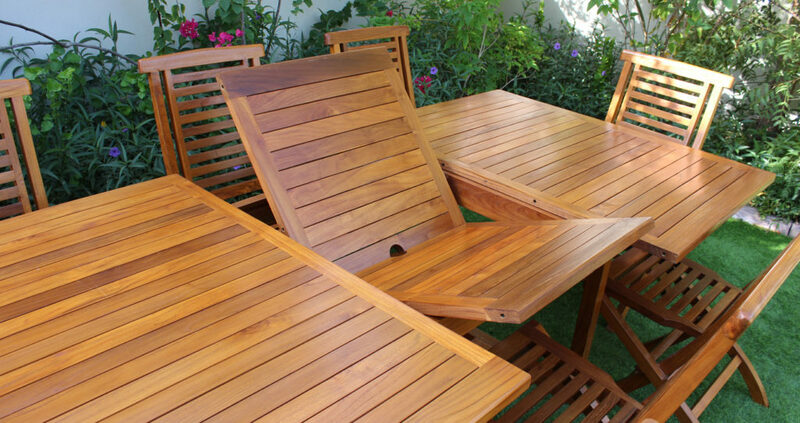 It has a high natural oil content which makes it resistant to the effects of sun, rain frost and snow. 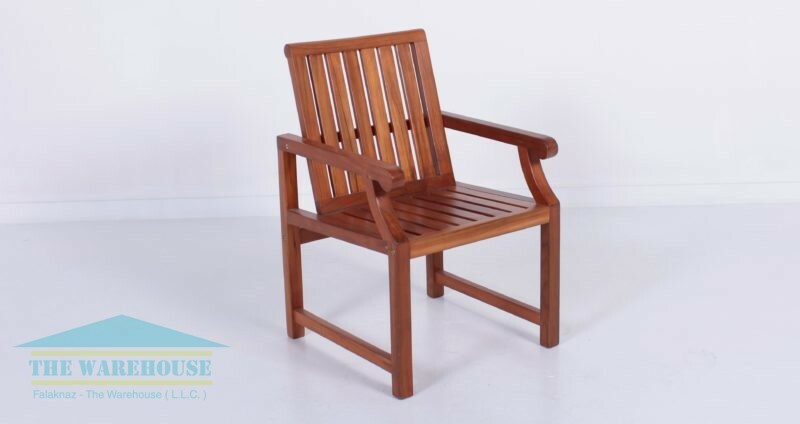 It is also resistant to termite attacks and rot. 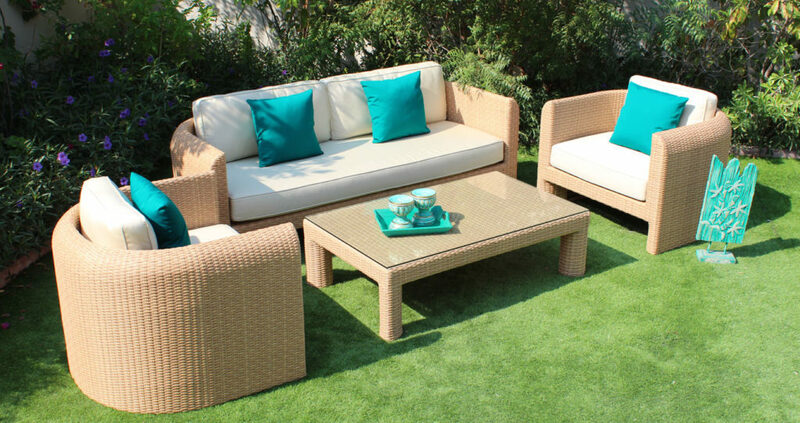 An ideal material therefore for indoor and outdoor furniture.